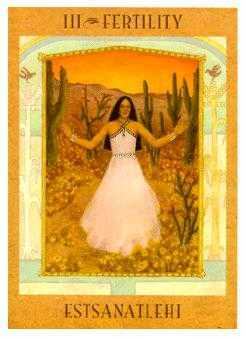 The Goddess Tarot is a celebration of the Divine Feminine. 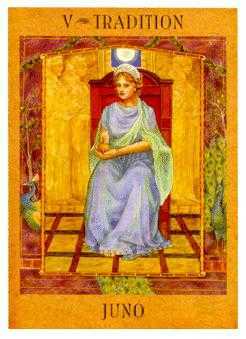 Drawing inspiration from the many goddesses honored throughout history and around the globe, The Goddess Tarot uses goddess myths and imagery to update traditional Tarot symbolism; it acknowledges women’s contemporary needs as well as her mythic past. 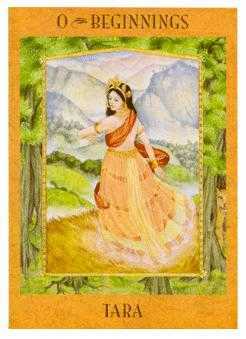 Through my own personal experiences with Tarot cards over the past fifteen years, I’ve come to think of the Tarot as a potent archive of what I call “soul pictures”—pictures revealing what Carl Jung called the collective unconscious, those subconscious rivers of archetypal experiences held deep within our psyches. The stories told by these soul pictures speak to our condition today; they address our common experiences as humans attempting to make sense of our lives and the world around us. From the earliest times, stories and myths have been used to impart wisdom and heal the spirit. When we feel overwhelmed by life’s demands, stories allow us a more detached perspective of events; when we stand too close to the trees to see the forest path, they shed light so we can find our way home. As ancient and rich in stories as the symbolism of the Tarot may be, goddess myths are even more so—for these myths are the original women’s stories. Revealing and reflecting our collective past, these stories speak to us through history’s veils, telling us of women’s innate divinity, dignity, and magic. 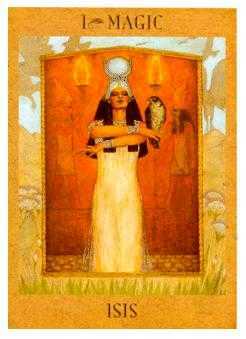 My intention in creating the art and design for The Goddess Tarot was to create a Tarot deck that would speak directly to women using our stories, while incorporating the archetypal power and symbols of the Tarot. 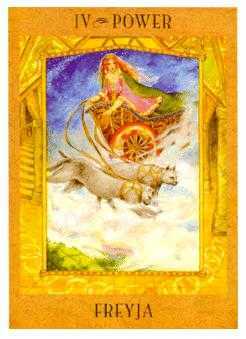 In this way The Goddess Tarot is meant as an accessible alternative deck for Tarot readers already familiar with the popular Rider-Waite deck who seek a deeper experience of the Divine Feminine in their readings. 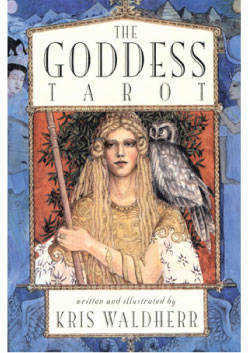 It has been designed to be readily accessible to lovers of goddesses and mythology without any Tarot experience as well. Whichever group you feel yourself affiliated with—Tarot expert, goddess aficionado, or feminist—this offering of The Goddess Tarot is for you. 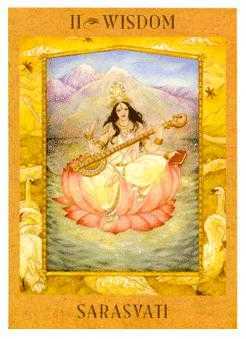 As you work with The Goddess Tarot, I hope you will find it an essential instrument for personal growth—as well as the reclamation of the Divine Feminine.